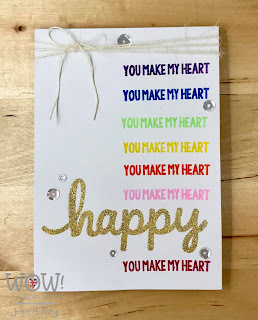 Its my turn to share with you my Rainbow challenge card for this month! I love rainbows, just something about them that makes me happy! So this is what I used to create my 'happy' card. 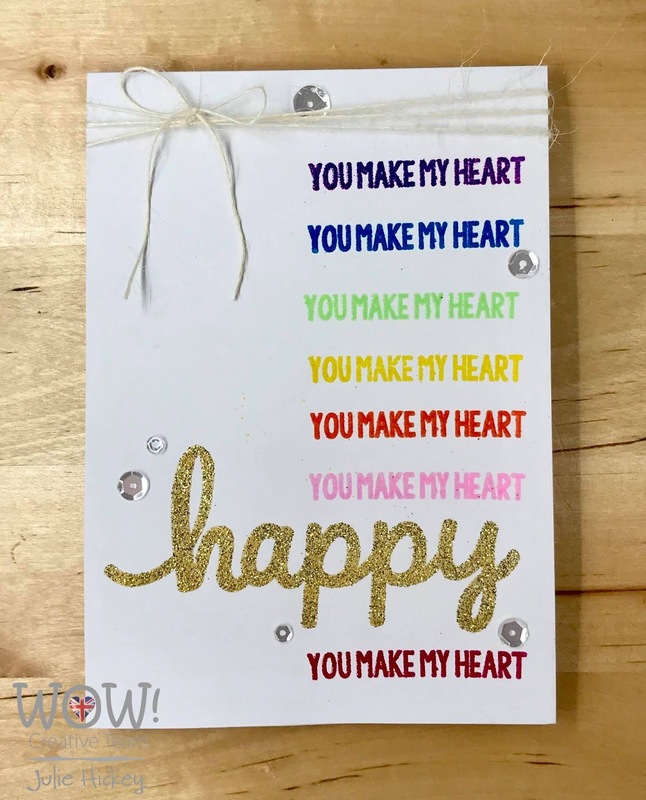 I used Pink and Main Happy For You stamp set with all those gorgeous different colours of embossing powders - all from the Primary range - Pink Robin, Marshmallow, Sunset Orange, Lemon, Luscious Lime, Lagoon and Indigo with a bit of beautiful sparkle in the Pearl Gold Sparkle! 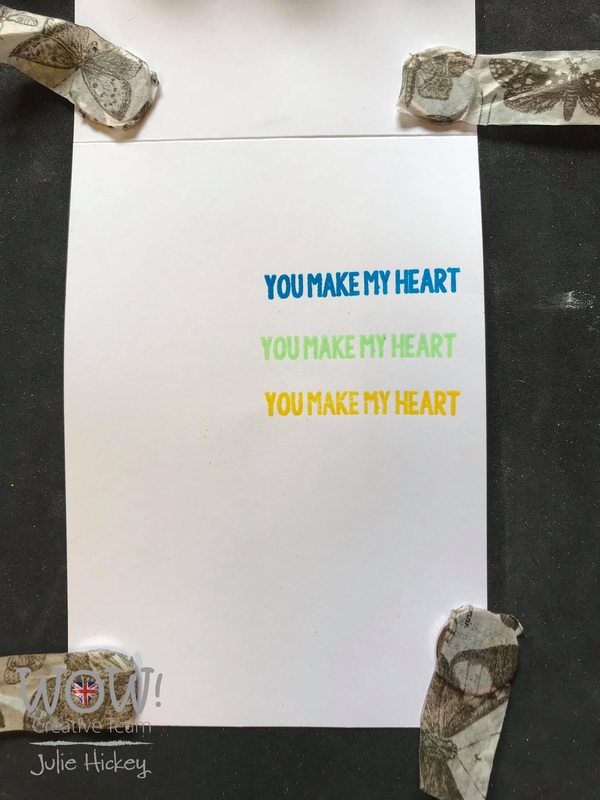 I stamped the wording using my stamping platform, starting with Lemon, working up and they down my card blank. 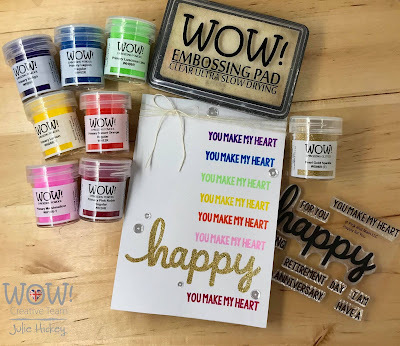 Stamped the sentiment using the amazing WOW! Clear Ultra Slow Drying Embossing Pad, sprinkled over the powder, tap the excess off and heat to reveal the fabulous shiny finish. 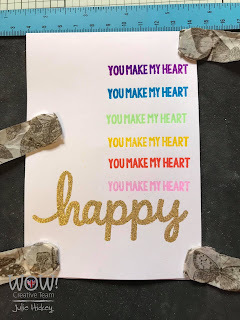 I then stamped the 'Happy' from Pink and Main Happy Stamp set and sprinkled over the stunning Pearl Gold Sparkle embossing powder, again using my stamping platform. I was then able to ink the 'happy' and stamp again, sprinkle more Pearl Gold Sparkle powder over the top, tap excess off an heat to reveal all that wonderful sparkle! 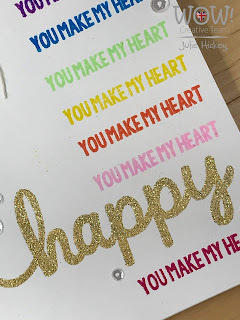 I stamped the last sentiment with the last colour, Pink Robin, below the sparkly 'happy' to finish my card. I wanted to embellish my card, so added twine wrapped around my card and tied a bow to secure it and added a few sequins. Hope you like my card and it inspires you to have a go creating your own little rainbow! Great card! 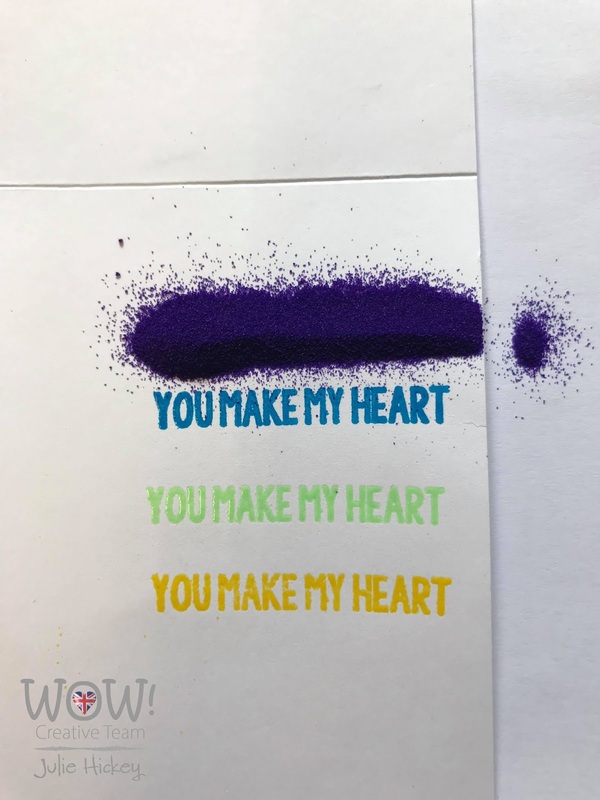 you said you stamped and powdered the Happy sentiment twice, did you heat emboss in between?